Plumbing problems can be a homeowners worst nightmare. From septic system horrors to leaky faucets and ruptured pipe, there is seldom a plumbing repair that doesn’t require immediate attention. Even the smallest of leaks can wreak havoc on a home and homeowner’s water bill alike. A single, one-eight inch or three millimeter crack in a pipe has the capacity to spew over 250 gallons of water each day. For the average household, unresolved water leaks can result in over 10,000 gallons of wasted water each year. Put another way: that leaky faucet could be costing the the equivalent of 270 loads of laundry. Nationwide, those leaks amount to over 1 trillion gallons of water wasted every year. Networking isn’t only for the job world. Leveraging friends and neighbors for recommendations and referrals can be your best bet of finding a plumber, too. Your neighbors can be a great resource for local plumbers. No one knows Panama City plumbers like the residents of Panama City, after all. Once you have a few referrals, take some time to read online reviews of the plumbers your friends and neighbors recommended. A little online research can go a long way in finding a plumber who is professional and accessible. You can use their social media pages to determine how they interact with their customers. You may even be able to see some of their previous work. If you aren’t in the midst of total system failure and don’t need urgent plumbing repair, you could even take the time to call the BBB. The BBB can tell you if any of the plumbers you’ve found have unresolved or multiple complaints. While you’re doing your homework, determine what types of plumbing licenses are required in your area so you can ensure your plumber meets or exceeds those requirements. You’ll want to rest assured that whoever you work with is a licensed plumber and has full insurance to protect both you and your neighbors. The more experience the merrier for a number of reasons, the most obvious being a more experienced plumber will be better equipped to address your needs. Equally important is the fact that a company who has been in business for a longer period of time is less likely to disappear on you. One would only hope, as well, that a long-standing company would also be a reputable one. There’s nothing wrong with shopping around – - indeed, it’s encouraged. Aim to get at least two to three quotes for the same job so you can know you’re comparing apples to apples. Be warned, however, that the lowest quote isn’t always the best way to go. Some plumbers will do only the barest minimum repair on a job to keep their quote low. In such cases, the work likely won’t last nearly as long as the plumber who charged a bit more for quality workmanship. While you’re comparison shopping quotes, don’t be afraid to get on the phone with your top contenders. Along with the specifics of the job you need completed, have a list of questions handy to ask each plumber. If one company on your list gave a quote that was above another, a great question to ask them could be why they charge more. Another great question to ask potential plumbers: Do they offer any guarantee? If so, is it limited by anything? Does it include your getting your money back? Is it in writing on the quote? This brings us to our last important tip: before letting any plumber begin work, make sure you see the contract and get the estimate in writing. Included in the estimate should be an enumeration of each task and the supplies that will be required to complete them. 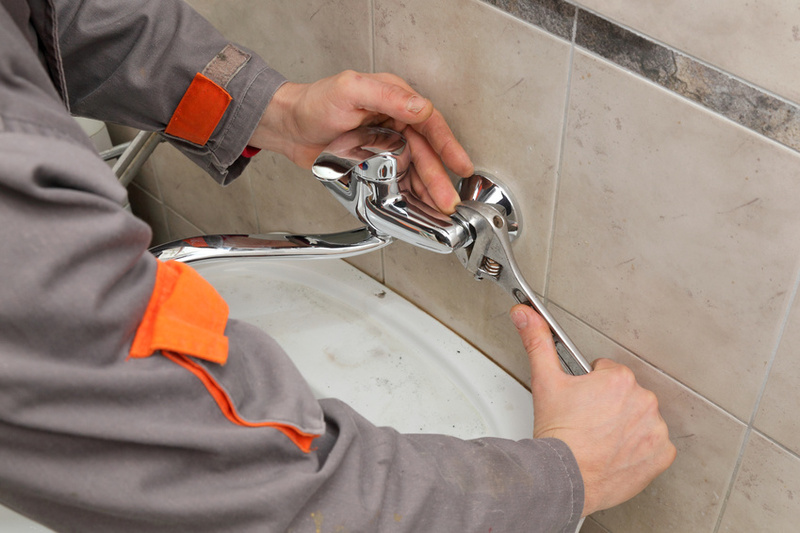 Even if you aren’t desperately in need of toilet repair, finding an experienced, licensed plumber today can mean major savings in water bills and home repairs later when you find yourself in need of emergency plumbing services.